An energetic and animated performer, Kevin sings favorite music for dancing and listening in the styles of Tropical, Jazz and Pop & Latin. 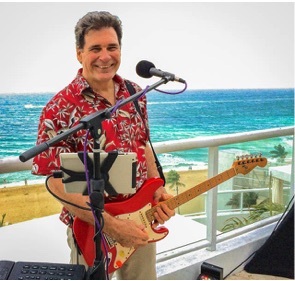 The One-Man-Band format includes; vocals and guitar with background accompaniment providing a full arranged group sound to create a soft ambiance for intimate affairs or a full energy sound for small parties to concerts, as the event requires. 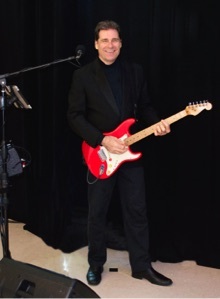 Kevin can also stroll with acoustic guitar and vocals for sound restricted venues. 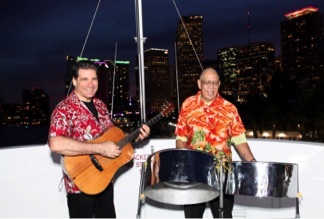 Originally from the Islands of the Caribbean, The Seagrapes perform popular selections of Calypso, Reggae, Soca & Latin styles as well as a crowd pleasing mixture of Pop, Rock, Standards & Jazz in settings ranging from casual poolside parties to sophisticated, fun black-tie formals! 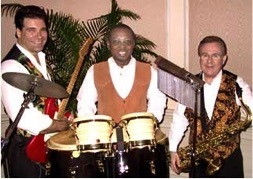 The group can also perform acoustically for sound or power restricted venues. 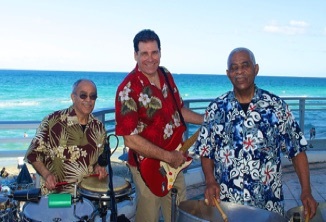 “The Seagrapes" feature Guitar, Vocals, Percussion, Steel Drums, Spanish Guitar and/or Saxophone.